Do you find yourself scrambling for information when investigating application performance issues? Do you spend hours (sometimes even days) gathering and reporting on usage and incidents of your application to stakeholders? 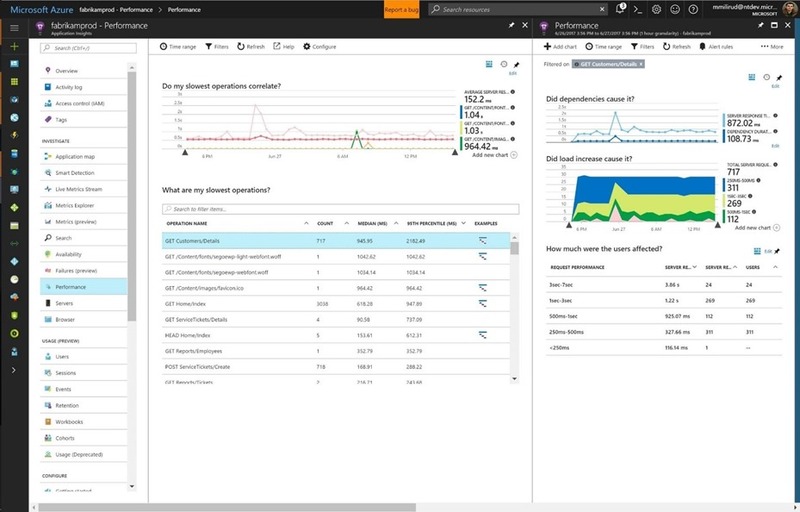 Azure Application Insights lets you learn, iterate, and improve the performance and usability of your apps and services by providing real-time insights based on machine learning and ad-hoc analytics. It helps you to detect, investigate, and mitigate application performance issues before impacting users. 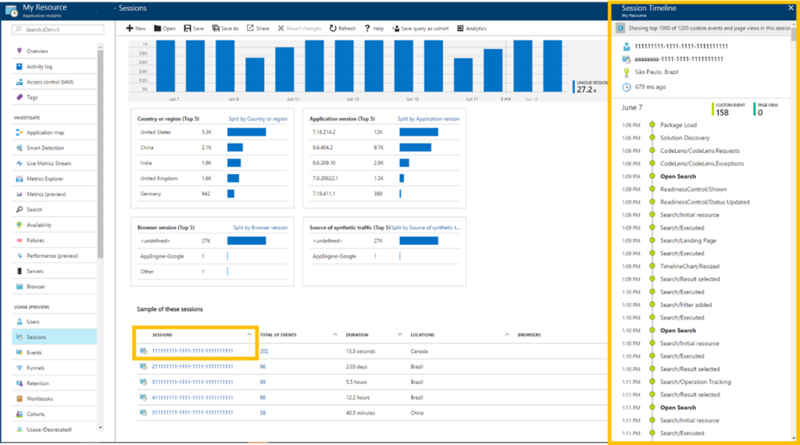 New features of Azure Application Insights, currently available in public preview, make it easy to collate and report all relevant information. Whether you are investigating an application performance issue or exploring application usage, you can journal the findings and narrate the complete story of your app. 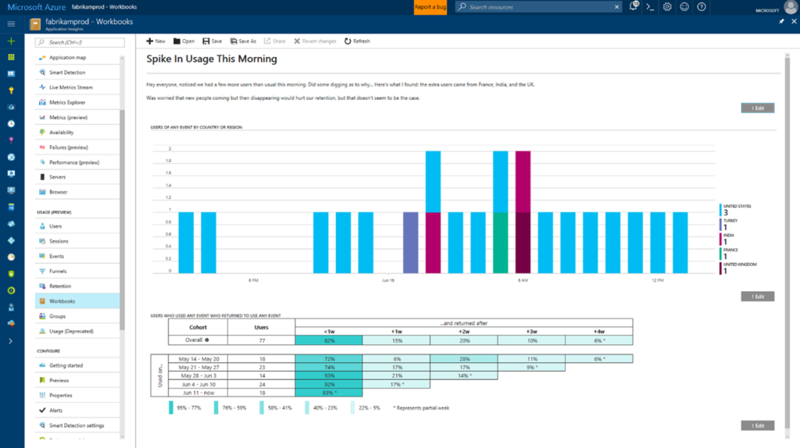 Workbooks, a new feature in Application Insights, lets you combine visualizations of usage data, Analytics queries, and text into interactive documents. It helps product owners answer questions about their app usage that span multiple visualization tools - Users, Sessions, Events, Retention, and Analytics - then pull the results together into an easy-to-read form to share with their team. When you send a workbook to someone on your team, the controls and queries you used to make the workbook remain editable to them. This makes workbooks easy to explore, extend, and check for mistakes. Workbooks are available in the Usage section of Application Insights, today. To learn more, visit the documentation page on how to investigate and share usage data. Analyzing the behaviors of individual users can be illuminating. For example, by watching a customer use your product in-person you can learn where there are usability improvements you need to make. That’s why we’re making it even easier to filter down to individual users and session in Application Insights. In the Users, Sessions, and Events tools, you’ll find sections that give five sample users, sessions, or events, respectively, based on your query. We’re taking this a step further with a new timeline view when you click on sample sessions in the Sessions tool. This timeline makes it easy to browse the details, page views, and custom events of a session like a story. By stepping through a user’s experience in this way, you can infer difficulties or goals they may have had while using your product, then address these in a future release of your site. Funnels allow you to easily measure conversions of a sequence of events through visual representation without writing complicated queries. Use Funnels to understand where users are dropping off and pinpoint events or pages that are causing issues for your customers. To learn more, visit the documentation page on usage analysis for web applications. We listened to your feedback and made improvements to application performance investigation experience. The performance blade now includes titles for each chart and grid. It also provides the trends of operational responsiveness and lets you drill into the details on a specific slow operation of interest. As we continue to innovate and release new features in Application Insights, we want to provide the flexibility and control you need to leverage the new capabilities. In this regard, we have enabled public preview management to land new experiences with minimal disruption to your business operations. Here you can try out new enhancements to Application Insights on your own schedule and test them in your pre-production environments, before moving to production. To learn more about how to configure previews, see the documentation link on how to preview upcoming changes. Try out these features today and let us know what you think of them at Application Insights UserVoice.